And this is what summer is all about. Every month on the blog, we try to do a roundup of bits and bobs of happenings in Fethiye; what we’ve been up to and a little bit about what’s going on around the neighbourhood. Well, that didn’t happen in July. We didn’t forget; it’s just that our whole month just kind of disappeared in a haze of friends. No complaints of course, but it did mean we hadn’t taken any real notice of what’s going on around us. August hasn’t been too much different – and now, on this, September 1st, we thought we’d pull a couple of things out from the last couple of months and let you know what’s coming up in September, too. In the opposite direction the Caliş to Fethiye water taxis are still sailing to and fro. The price has recently gone to 6 TL per person – still very reasonable for a 40 minute sail and, recently, after a long interval, we again decided to use it to get to Fethiye. We can’t have a roundup of the last eight weeks without a food recap. We’ve had no time to do any new recipes on the blog but we’ve still been grabbing (and photographing) bits of food on the go at different Fethiye restaurants and eateries. Remember our photo post about the new urban hideaway hotel in Fethiye, Hotel Unique? Well after seeing the photos in that post, some of our family members booked a room there – and, well, it would have been rude not to go up there and sample the facilities, wouldn’t it? This was lunch. A homemade cheeseburger served with coleslaw and potato wedges. We ate here for Barry’s birthday last month, too, with good friends of ours. A small menu, admittedly, but the food has been really good on both occasions. If you’re looking for ideas for where to eat and drink whilst you’re in Fethiye, we’ve got some suggestions on our Fethiye Eating and Drinking page. It feels like a lifetime since we paid a visit to Erasta Fethiye; the new shopping centre – but July was the month we gave in and decided to have a nosey around to see what was going on. This is what we thought about Erasta Shopping Centre In Fethiye. The kids are ready to go back to school both in Britain and in Turkey – and September is upon us. Although we’re still baking with the July and August weather, you can feel hints that the temperatures are becoming more bearable and normal activities start to kick in. And you might remember that since attending past pro beach volleyball events in Çalış, we’ve become fans of watching this sport, too. This was a complete accident – and now we’re excited about the next upcoming event. This is fantastic for the Fethiye area because this month, the beach volleyball centre in Çalış is going to play host to the 2014 Under-22s European Beach Volleyball Championships. This will take place 18th-21st September – just great! 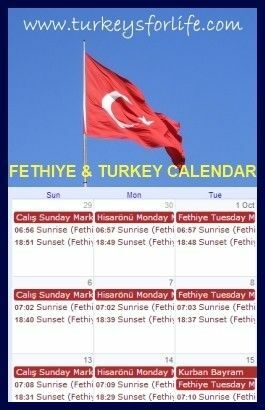 For full details of the beach volleyball, future Fethiyespor fixtures, markets and other events taking place, you can visit our Fethiye Events Calendar. Scroll through to the dates you are interest in to see what’s going on.